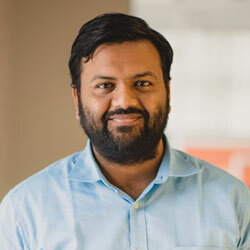 Yatish heads the global technology programs at Saviant. He is an IoT, Azure Cloud Platform and Enterprise Mobility Solutions Expert. He consults global clients from Energy, Utilities, Telecommunication and Manufacturing Industries to achieve desired organizational goals. He has authored the ‘Azure IoT Development Cookbook’ which helps readers develop and manage robust IoT Solutions. He has represented Saviant at various global technology events and symposiums with a focus on IoT Analytics and Solutions. Yatish’s 13+ years of IT Career has seen both technology intensive and managerial roles in sought-after organizations. His IT Journey has progressed from being a Software Developer and Technical Project Manager to a Global Program Manager by leveraging the power of technologies such as Cloud, Mobility and Analytics. In his spare time, Yatish enjoys watching and playing Cricket. Saviant is the preferred Data Analytics & Intelligent Solutions partner for leading Asset-intensive and Field-force driven Enterprises across industries like Energy, Utilities, Logistics & Construction. We are the trusted Technology Advisors and Implementation Partners for their strategic initiatives around Data Analytics, IoT, Cloud & Mobility. Our teams enable intelligent actions & accelerated business outcomes for our customers across the globe, by defining their Technology Roadmap & Implementation Strategies. "I can trust them to do their best and get a successful outcome." "They have a very hands-on approach towards problem-solving." Our Consultant will get in touch with you.